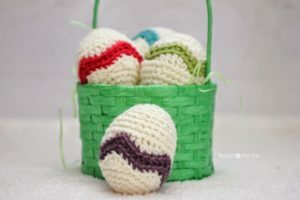 Today Rhelena is sharing a sampling of some of the awesome patterns that can be found through her site and they are sure to get you stitchin’ for Easter! Be sure to pop on over to her Facebook Page and give her a big thanks for rounding these up. Easter is a time for Easter egg hunts and religious celebrations. It’s a fun time for everyone, especially the young children. 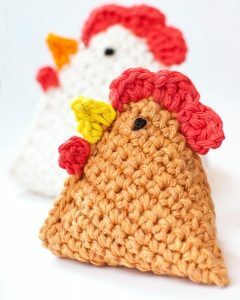 And for us crocheters, it’s a time to crochet up some fun toys and lovely decorations. 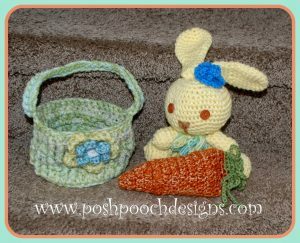 In this Easter roundup you’ll find a few patterns for the children, as well as a few items for yourself and your home. 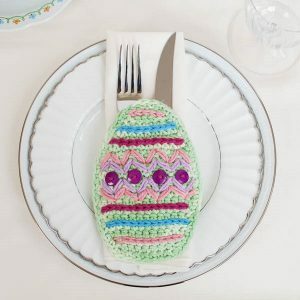 Here is a cute little napkin ring for your Easter dinner table. It’s shaped like an Easter egg, and the pretty design reminds me of little spring flowers. 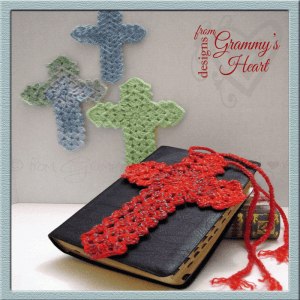 This gorgeous bookmark makes for the perfect gift for anyone who celebrates Easter from a religious perspective. 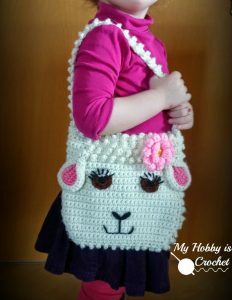 Your little princess is sure to be pleased with this darling sheep purse. It’s great for her Easter candy and for everyday use. 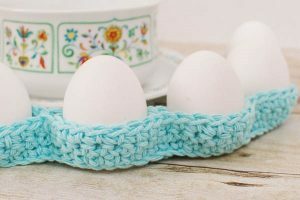 This adorable egg cozy can be adjusted to any size that you need including up to a dozen eggs or more. It’s the perfect accessory for your Easter table. 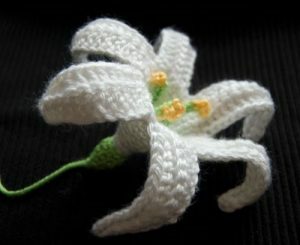 Crochet one or crochet a whole bunch and stick them into a pretty Easter bouquet. It would make for a lovely decoration for the church or for your home. This hat is perfect for those who still have snow around Easter. It’ll be great fun, especially during the children’s Easter egg hunts. Every child will be pleased to see one of these in their treat bags. It also makes for a lovely decoration for the grownups. Decorate your home or your child’s room with this cute chevron egg. And the best part is that it can be used year after year. Keep your children entertained with these adorable bean bags. Or, use them as a cute decoration in your kitchen. This pattern is for the pouch only. 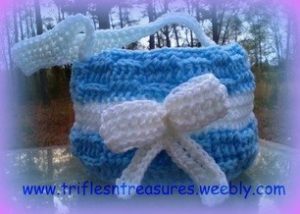 It’s great for your child’s Easter candy or for small treasures. 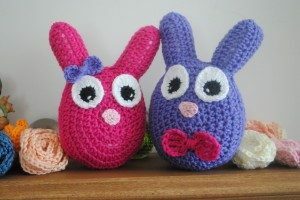 These adorable bunnies are crocheted in only one round. 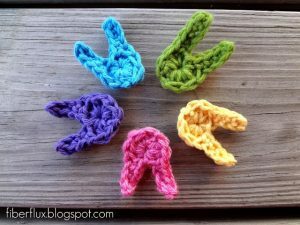 They make for cute appliques for headbands or for your Easter cards. Last, but not least, we have this adorable and textured basket. It looks like a fairly nice size for Easter egg hunting. 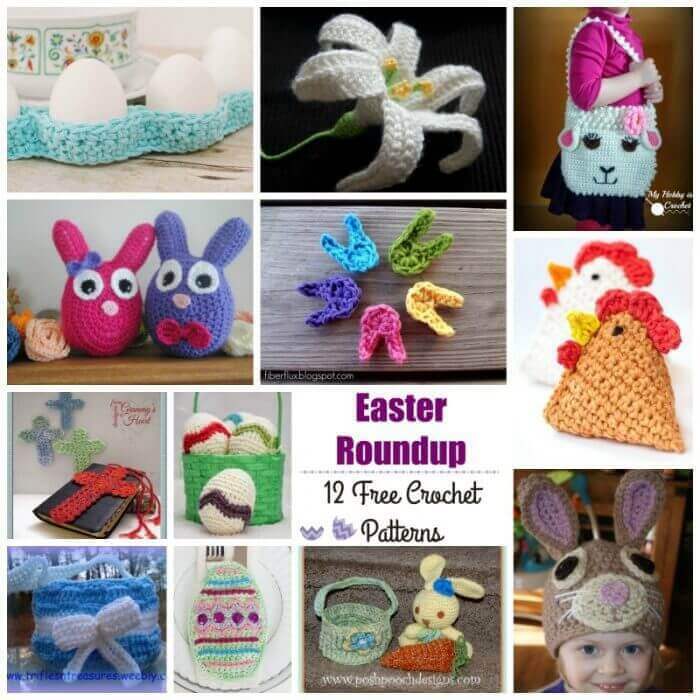 I hope you enjoyed this roundup of free Easter crochet patterns. 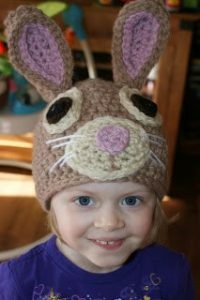 And if so, you might also be interested in checking out the Easter pattern collection on Crochet Pattern Bonanza. Interested in being a guest contributor on Petals to Picots? Check out our Guest Post Submissions page for more information.